Stanley Bowker celebrated his 50th career year in horse racing in March 2018. Currently, he is serving as commission steward in Arkansas, and previously worked as a steward for the Virginia Racing Commission and at Indiana Grand. Other racetracks he has worked at or consulted for include Ak-Sar-Ben, Canterbury Downs, Prairie Meadows, Will Rogers Downs, and Colonial Downs. Bowker also has past affiliations with the National Thoroughbred Racing Association’s Safety and Integrity Alliance and the Association of Racing Commissioners International. He was a member of the group that established the Racing Officials Accreditation Program, where he served as chairman for seven years and is still active on various committees and teaches at the schools and continuing education seminars. The late Herbert Clark first became at steward at Thistledown in Cleveland, Ohio, in 1980. He served as Ohio state steward from 1992 to 2011, and then became chief steward at Presque Isle Downs. Clark was also named the country’s leading apprentice jockey in 1960, and later served as placing judge and clerk of scales at Pocono Downs. David Elliot Hooper has been working in racing for nearly 60 years and is currently serving as chief steward for the Minnesota Racing Commission. His first job in racing was as a publicist, racing editor, and handicapper. Hooper has worked as an association or state steward in Kentucky, Arizona, Idaho, Louisiana, Oregon, Washington, and Texas. Among several other positions in the racing industry, including executive secretary of the Illinois Racing Board and executive director of three breed organizations and one horsemen’s association, he was also the coordinator of the University of Arizona Race Track Industry Program in the late 1980s. Donald Le Vine served as a steward at a number of racetracks, beginning in 1978, until his passing in 2000. Among these tracks were Atlantic City Racecourse, Gulfstream Park, Keystone Raceway, Tampa Bay Downs, Turf Paradise, and Philadelphia Park. He also spent a number of years at the Radnor Hunt and Fair Hills races. His memory was honored with the naming of the Donald C. Le Vine Memorial Clinic at Philadelphia Park (now known as Parx) in 2001. The late Allen Fairbanks served as state steward at Thistledown for 21 years, retiring in 2004. Prior to his time at the Cleveland-area track, he served in the stewards’ stand at Detroit Race Course and Hazel Park in Michigan, Balmoral Park in Illinois, Green Mountain Race Track in Vermont, Pocono Downs in Pennsylvania, and Tampa Bay Downs in Florida. An accomplished jockey on the east coast in the 1950s and 1960s, Fairbanks was a multiple graded stakes winner, including the Jockey Club Gold Cup. Allen was a medical corpsman and ambulance driver in the U.S. Army stationed in Germany. Prior to his military service, Allen was a professional rodeo roper and bull and bronc rider. Ralph D’Amico is serving in his 23rd year as the Iowa Racing and Gaming Commission (IRGC) presiding state steward at Prairie Meadows in Des Moines, Iowa. His time in the stand also includes tenures at Oaklawn Park and Birmingham Race Course, as well as working as a Standardbred judge and Greyhound judge in Iowa. Ralph started in racing as a jockey in Ohio and was twice leading rider at Thistledown. The winner of more than 1,000 races, D’Amico was elected to the Ohio Sports Hall of Fame. D’Amico is on the IRGC Rules Task Force and has assisted on several occasions with the American Quarter Horse Association Youth Racing Experience. After retiring from race riding in 1975, Blum, a native of Brooklyn, N.Y., worked as a racing official at Garden State Park and Atlantic City Race Course in New Jersey. In 1978, he moved to Florida, where he served as state steward in the south Florida racing circuit (Hialeah, Gulfstream, and Calder) until his retirement in 2004. Blum was named to the National Museum of Racing’s Hall of Fame for an outstanding 22-year riding career, riding mainly on the east coast from New England to Florida. He is the only jockey to win six races in one day at Monmouth Park. In the 1960s Blum rode seasonally in Southern California, winning the 1966 Santa Anita Derby and the 1971 Belmont Stakes. He was elected president of the Jockeys' Guild in 1969, a position he held until 1974. In 1986, Blum was inducted into the International Jewish Sports Hall of Fame. First licensed as a steward in 1993, Barb Borden currently serves as a ROAP-accredited steward in Kentucky. She has been a steward at Keeneland, Churchill Downs, Turfway Park, Ellis Park, Kentucky Downs, Bluegrass Downs, and Dueling Grounds. 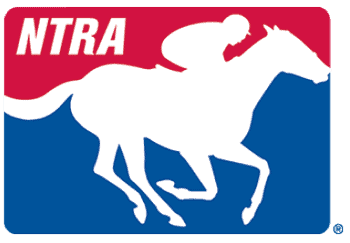 Borden has held numerous racing official positions including licensing administrator, detention barn assistant, horse identifier and Kentucky Thoroughbred Development Fund administrator. Borden participates on the License Review, Rules and Regulations and Safety and Integrity Committees of the Kentucky Horse Racing Commission. An accomplished horsewoman, Barb is a staunch advocate for Thoroughbred aftercare and sits on the board of the horse rescue group, Second Stride. Dave Hicks, who retired in 2013, served as a steward at the New York Racing Association tracks, Gulfstream Park, Rockingham Park and Suffolk Downs, among others. During his years at NYRA, Hicks was active in the rule review/development process, with “house rules” and with the New York Racing and Wagering Board rules. He also organized and personally conducted a weekly program for apprentice jockeys. He had a similar program in Florida before coming to New York and has initiated this program again in Florida. Before becoming a racing official, Hicks was a Thoroughbred horse trainer in New England. Leo O’Donnell began serving as a steward in the Northeast at Rockingham Park, Suffolk Downs, Lincoln Downs, Narragansett Park, Green Mountain in Vermont and various New England fair meets. Later in his 35-year career, he worked the tracks in Florida, West Virginia, Ohio, Oregon and Kentucky at Miles Park, Latonia, Keeneland and Churchill Downs. A racehorse trainer and steeplechase jockey, Leo championed the rights of the horsemen and women. O’Donnell was a founding member of the Horsemen’s Benevolent & Protective Association and served as the National HBPA president in 1946. Leo was also very much involved with the start of uniform rule-making. In 1980, he received the Joe Palmer Award from the National Turf Writers Association. George Slender is a ROAP-accredited steward with the California Horse Racing Board and over the last 43 years has officiated at every track in California, working Thoroughbred, Quarter Horse and all-breeds fair race meets. From 1959 to 1972, George, a former horse trainer, held positions as placing judge, paddock judge, horse identifier and starter. He was recently inducted into the Santa Rosa Junior College Sports Hall of Fame. A native of Puerto Rico, Eddie grew up in Chicago and began race riding in 1966, competing on the Midwest, East Coast and Florida circuits. Eddie won multiple graded stakes and was inducted into the Chicago Sports Hall of Fame in 1986. After retiring from race riding in 1978, Eddie became a steward in Illinois. In 1990, he was named a special assistant to Richard Duchossois, the chairman of Arlington International Racecourse, a position he held until 1995 when he became general manager at Sportsman’s Park. In 2000, Eddie returned to the stewards’ stand and is currently the chief state steward for the Chicago tracks. Eddie also serves on the ROAP board of directors. An amateur jockey at 14 and an assistant starter at 20, Marshall was one of the greatest innovators in American horse racing during the 20th century. He contributed significantly to the development of the moveable starting gate, photo-finish camera, film patrol, past performance information and participant record keeping. He served as a starter, a New York steward, and as a New York Racing Association director of racing. He was also the longtime executive secretary of The Jockey Club and he founded The Jockey Club School for Racing Officials. He died October 23, 1968. He was 76..
Often recognized as the “Dean of American Racing Stewards,” Keene, a former horse trainer, served as track steward in Kentucky from 1950 to 1980. He received the Kentucky Thoroughbred Owners and Breeders Association Humanitarian Award in 1984 and the Eclipse Award of Merit in 1985. He died September 1, 1993. He was 82. Beginning as a practicing veterinarian on the East Coast racing circuit in 1974, Dr. Hill became the NYRA track veterinarian in 1978 and was named NYRA chief veterinarian in 1983. In 1996, Dr. Hill became The Jockey Club steward at NYRA tracks, a position he still holds. Dr. Hill serves as the U.S. representative on the International Federation of Horse Racing Authorities Harmonization of Raceday Rules Committee. He is also a longtime U.S. delegate to the Asian Racing Conference; serves on the board of directors of ICRAV, ROAP, RMTC and AAEP; and served on the Grayson-Jockey Club Research Foundation’s Research Advisory Committee. A leading U.S. jockey from 1972 to 1988, Darrel rode 2,553 winners including Master Derby (winner of the 1975 Preakness), Run Dusty Run (2nd in the 1977 Kentucky Derby and Preakness), and the great John Henry. In 1978, Darrel was the leading jockey in money won setting a record of $6,188,353 and received the Eclipse Award as the Outstanding Jockey of the Year. In addition, Darrel’s peers in the Jockeys’ Guild voted him the winner of the 1978 George Woolf Memorial Jockey Award presented to the jockey in North America who demonstrates high standards of personal and professional conduct, on and off the racetrack. After his retirement in 1988, Darrel became a racing official in California and has been a California state steward since 1994.